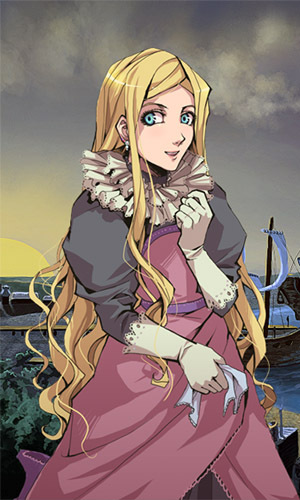 Heileen, a visual novel developed and published by Tycoon Games, consists of four installments: Heileen: Sail Away, Heileen 2: The Hands of Fate, Heileen 3: New Horizons, and the prequel Heileen: A Trip to Bavaria. All are focused on the titular character, a young girl in the 17th century visiting the New World. Players read through the story, making decisions that lead to one of three possible ends, including one that leaves Heileen shipwrecked on a Caribbean island. Later sequels to the game added more potential conclusions. Players can start relationships with other characters, including lesbian relationships.